NuGet Gallery | Packages matching Tags:"fullscreen"
9 packages returned for Tags:"fullscreen"
A simple polyfill for the modern full screen API. jQuery Fullscreen (jquery-fullscreen) binding library for Bridge.NET projects. Angular Fullscreen (angular-fullscreen) binding library for Bridge.NET projects. Leaflet Fullscreen (leaflet-fullscreen) binding library for Bridge.NET projects. jQuery.Fullscreen binding library for Bridge.NET projects. 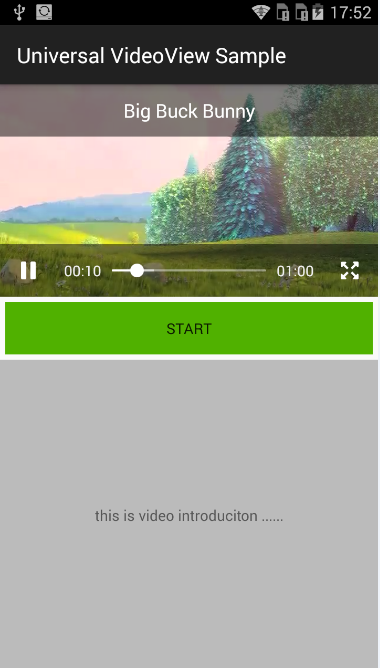 A better Android VideoView with more Media Controller customization. Leaflet.Fullscreen binding library for Bridge.NET projects.